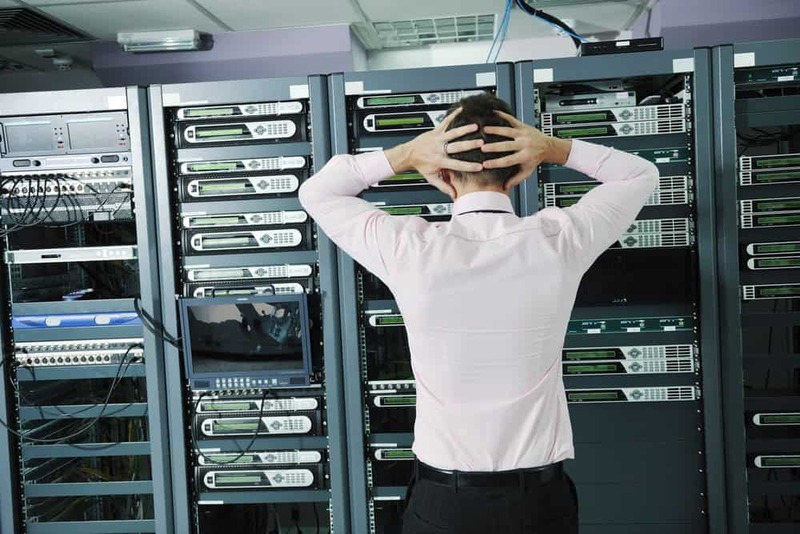 No matter how powerful, resilient, and well-protected your server is, you need to be prepared to take advantage of enterprise data recovery services. Bad things happen to good servers. Somewhere out there is a high end server in an environmentally controlled environment that will hard crash tonight. It is top of the line enterprise storage equipment with multiple levels of redundancy. The physical RAID volume is redundant. The networking is redundant. The power supplies are redundant. Even the power to the data center itself is redundant. But somehow, it will still crash. Perhaps the fire suppression system will misfire for no reason. Perhaps a direct lightning strike will cause a power surge. Or perhaps our sun will decide on a once-in-a-decade solar flare and crash hundreds of servers worldwide. Regardless of the reason, somewhere out there in the world right now, a server is crashing. In these situations, Gillware is extremely familiar and comfortable with performing enterprise data recovery on even the most complex storage servers. In truly dire situations, you need your data back yesterday. We can’t do yesterday (yet). But we can get your data back to you in as little as one to two days with our emergency data recovery services. Emergency service options put your case at the top of every engineer’s queue and makes your data recovery needs priority number one for all of Gillware’s hard-working technicians. When you need mission-critical data restored as soon as possible, Gillware has your back. Servers are fairly autonomous. It can be easy to get in the habit of “out of sight, out of mind” as the server does its job. But just like any other data storage device, servers can fail, crash, and break down. Our experts here at Gillware include dedicated computer scientists who have studied all of the intricacies and ins and outs of virtual machines, and excel at recovering data from VMs. Gillware’s SQL server data recovery services can get you and your business back on your feet after you’ve lost your SQL database to a server crash or database corruption. iSCSI (Internet Small Computers System Interface) is a storage networking standard based on Internet protocols. For many SAN and server setups, iSCSI protocols are the norm. When you lose data from your virtual machines, or the VMs themselves become corrupted or inaccessible (or just vanish), our world-class engineers can meet all of your VMWare data recovery needs. If you’ve lost the data on your virtual partition or virtual machine, Gillware’s virtual machine data recovery experts, many of them computer scientists, can help you get your data back. If your business or organization needs data recovered from an ESXi virtual environment, our ESXi data recovery experts can help you get your business up and running. Physical and logical damage to your server can lock you out of your virtual machines. If you’ve lost data from a Hyper-V virtual machine, our Hyper-V data recovery experts can help. If you have a Citrix XenServer that has failed or has corrupted its data and need XenServer data recovery services, send it to the experts at Gillware for a free evaluation.